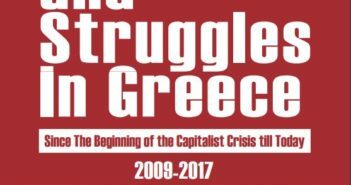 we received a report on the 37th Congress of the General Confederation of Greek Workers on March 18th. condemned the activities of the mafia of GSEE (General Confederation of Greek Workers). against corrupt trade union bosses who are afraid of a true working class activity and unity. We also express our respect for the work of your trade union under these difficult conditions. The trade union PAME has become one of the examples of class trade union activity. with the struggle and the problems of Czech workers. No social dialogue, no social compromise! All for the benefit of the workers!